Important: We do not accept American Express & Diners Club cards! The amount deposited into our account in Windhoek in any other currency must be equivalent to the required amount in Namibian dollars. Bank fees charged by your local bank must be added as well as a charge of Namibian bank: 1.4% of the total amount with a minimum of 50 Namibian dollars. The full amount must reach us free of any charges. 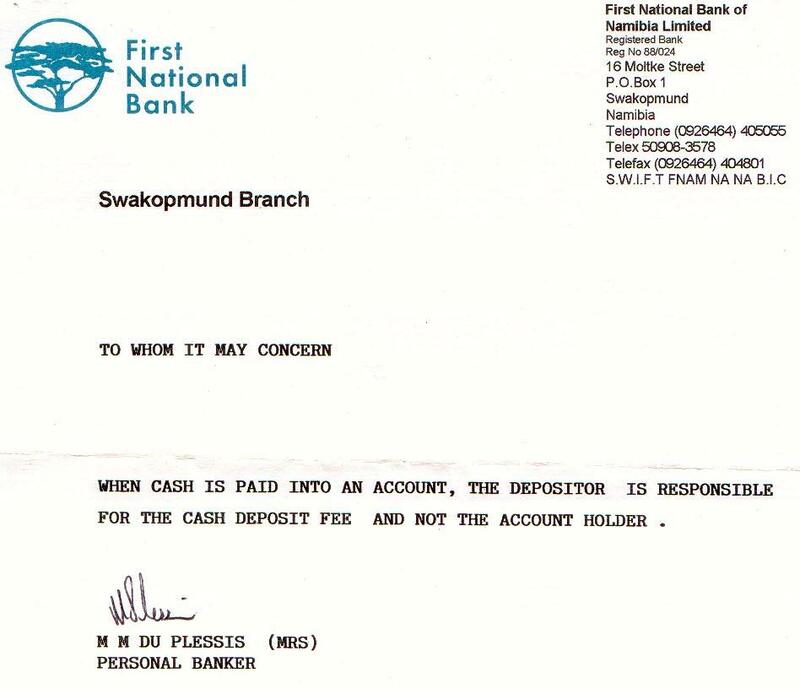 In case of a bank transfer a bank deposit slip should be faxed to: or scan/photo can be e-mailed it to info@namibweb.com as a proof of payment. Credit card details will not be accepted over the phone but in writing only: by fax or via e-mail. Full payment is also accepted in cash (Namibian dollars, Rand or any other major currencies) or travellers' cheques on your arrival to Namibia: car rental reservations. Traveller's cheques: the amount paid in any other currency to us will be converted into Namibian dollars in the nearest bank and the nett amount less bank fees and rate fluctuations will be compared with the amount due for services, etc. If it is less that amount owed you will have to add the outstanding amount, if it is more you will be refunded. 25% non-refundable deposit of the total of all services/establishments reserved will confirm your booking. The full balance is required not later than 55 days prior to arrival. For a very popular establishments the full balance is due up to 6 months prior to arrival. Please check an individual pages for more information. All refunds will incur a N$ 195 handling charge.